Fox News: Fair, Balanced and…Inaccurate? Check out the allstar mistake published on the FOX News website. It has since been fixed, but apparently FOX spells Liverpool, M-a-n-c-h-e-s-t-e-r. I’m sure it happened because they were so focused on being fair and balanced. 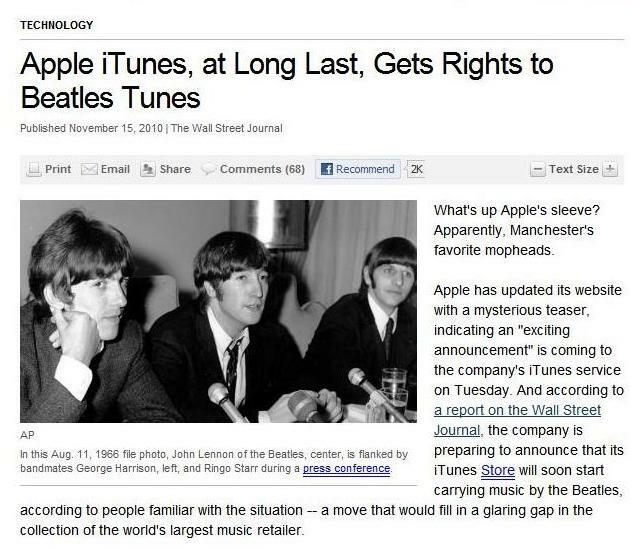 Welcome to iTunes, Boys from Liverpool! Click here to see the edited version of the story. 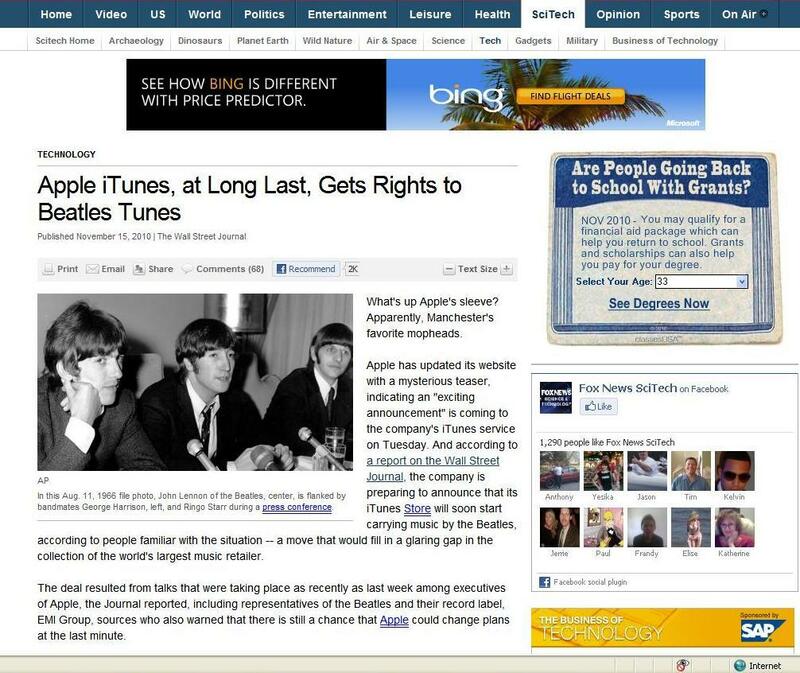 Tags: Apple, Apple Announcement, Beatles, Fair and Balanced, Fox, Fox News, iTunes, iTunes Announcement, Liverpool, Manchester, Music, The Beatles. Bookmark the permalink.